With a simple one-line announcement, the United States Supreme Court announced Monday they will not hear the appeal of former Illinois governor Rod Blagojevich. It was a devastating blow to Blagojevich, his family, and legal team, who had hoped they would get good news when the court released its order list at 8:30 am. Instead, the Blagojevich case merely appeared on the list under the caption “Certiorari denied”, meaning the Court would not consider the case. 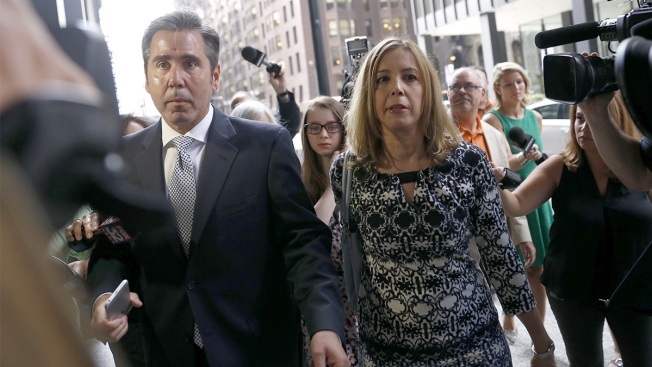 The Court held discussions of the Blagojevich case as part of a scheduled case conference last Friday. “Rod, Amy, Annie and I could not be more disappointed in the decision today by the U.S. Supreme Court," Patti Blagojevich told NBC 5 Monday. "From the beginning we’ve had faith in the system and have felt the court would bring Rod back to us. Now, with the judiciary no longer an option, we’ll have to put our faith elsewhere and find another way." With a simple one-line announcement, the United States Supreme Court announced Monday they will not hear the appeal of former Illinois governor Rod Blagojevich. Phil Rogers reports. For Blagojevich, this was almost certainly the final legal avenue to potentially shorten his time in prison. The former governor is in his 7th year of a 14 year sentence at the Federal Correctional Institution in suburban Denver. Now, the former governor’s best hope would be for President Donald Trump to commute his sentence. Many observers believe that is not a far-fetched scenario. The President is familiar with Blagojevich, who was a contestant on his “Celebrity Apprentice” program while he was awaiting trial. Blagojevich, his family, and supporters had argued there was a larger issue at stake than the former governor’s freedom. Numerous politicians and others filed briefs with the court, asking that they take Blagojevich’s case to clear up what even opponents agree is arcane and at times, even conflicting campaign finance law. At issue, he argued, one standard (McCormick v. United States) which says a politician breaks the law if he makes an explicit promise to do something in exchange for a campaign contribution. But another ruling (Evans v. United States) presents a conflict in the eyes of many critics---that the lawmaker only needs to believe that something is expected. “Petitioner has presented no consistent position on what ‘explicit’ means,” the government argued. But other observers who filed briefs with the court insisted clarification was needed. The Court declined to take that chance, rejecting Blagojevich’s appeal, without comment.